Total Gym Platinum Plus delivers a total body workout in just 10-20 minutes. Work all major muscle groups simultaneously. 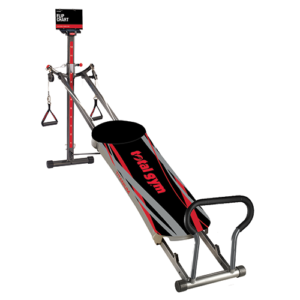 Cardio, strength training and stretching – over 60 exercises on one machine. Features 8 calibrated levels to accommodate beginners to advanced fitness enthusiasts. 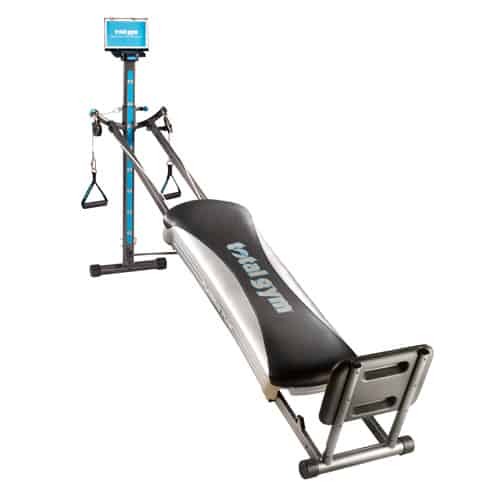 Includes the best-selling AbCrunch Accessory, Wing Attachment, Press-Up Bars, Leg Pulley System, Squat Stand, 4 Workout DVDs, Exercise Flip-Chart, 2 Year Warranty, Nutrition Guide, Exercise Guide and Owner’s Manual. Arrives fully assembled and folds for easy storage.